A new relationship with a leading food innovation and research center is one of several USDEC efforts emphasizing "people, promotions and partnerships." To watch 2-minute video, click arrow, lower left. Southeast Asia’s population surpassed 650 million this year, nearly doubling the U.S. population. Looking ahead to 2050, the countries geographically south of China, east of India, west of New Guinea and north of Australia will continue to grow, with 142 million more mouths to feed, according to one population projection. That demographic shift is a huge opportunity for U.S. dairy exports. It is one of many reasons the U.S. 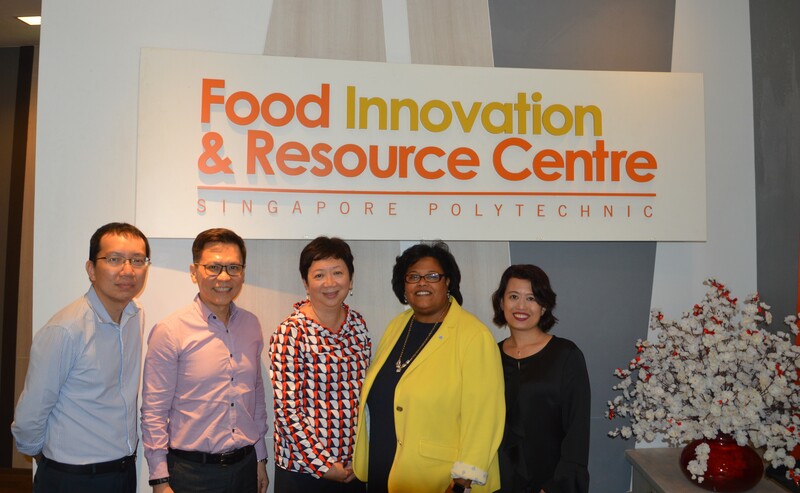 Dairy Export Council (USDEC) signed a partnership agreement in May with the Food Innovation and Research Center (FIRC) at Singapore Polytechnic. The 10-member Association of Southeast Asian Nations (ASEAN) is the second largest U.S. dairy export market, buying $690-million worth of U.S. products in 2017. ASEAN encompasses Indonesia, Malaysia, the Philippines, Singapore, Thailand and Vietnam, plus Brunei Darussalam, Burma, Cambodia and Laos. The United States shipped 163,864 metric tons of nonfat dry milk/skim milk powder (NDM/SMP) to Southeast Asia last year. That is more than a quarter of all U.S. NDM/SMP exports. In addition, the market received 86,617 metric tons of U.S. whey products, about 16 percent of total U.S. export volume. Those numbers represent the recent past. 1. Expanding economy: Strong economic growth is fueling middle class expansion and dietary shifts. The International Monetary Fund (IMF) projects Southeast Asia will outpace the rest of the world economically through at least 2023. IMF estimates GDP growth of 5.3-5.4 percent annually for the region, compared to global growth of around 3.8. The Philippines and Vietnam will grow in excess of 6.5 percent per year. Unemployment is at the lowest level in two decades in Indonesia and the Philippines, and is expected to remain below 3 percent in Malaysia, Thailand and Vietnam and less than 1 percent in Singapore for at least the next five years. 2. Urban expansion: Southeast Asia (with the exception of Singapore) has a higher percentage of rural population than the world average. Those rural dwellers are also moving to cities at a faster rate than the rest of the world. According to a McKinsey and Co. study, the region’s booming cities already account for more than 65 percent of ASEAN’s GDP, and will add an additional 90 million people by 2030. Rapid urbanization will propel the continued growth of the region’s “consuming class,” which will double to more than 163 million households by 2030. Income gains are expected to spur a dramatic rise in demand for a wide range of goods and services, including dairy products. 3. Youthful demographics: ASEAN’s population skews young compared to Europe and the United States. About 60 percent of the people in the region are under 35. It is a youthful and dynamic segment with more adventurous tastes, seeking out new foods and experiences in restaurants, ranging from Western chains to upscale dining—major users of commodity and high-end artisan cheese. 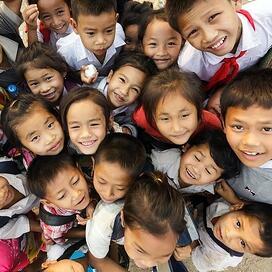 Right photo: children in Laos. 4. Healthier lifestyles: Southeast Asian consumers, often backed by government initiatives, have grown much more knowledgeable about dairy’s role in health and nutrition. Vietnam’s National Nutrition Program, for example, encourages calcium consumption for bone strength, milk for infant health, and overall dairy as part of a healthy diet to raise average height levels. It is set to run through 2020. Trust in dairy is driving people to incorporate milk, cheese and dairy containing products into their traditional diets. Functional foods are becoming more prevalent. 5. Thriving food manufacturing industry, looking to grow: Not only does Southeast Asia boast a population of more than 650 million, it borders China and India, nations with more than 2.7 billion consumers. In addition, ASEAN countries signed more than 40 free trade agreements since 2000 and are in the process of negotiating more than 20 additional deals. This is a region intent on building export ties, with food being one of the main areas of trade. It has already become a major supplier to North Asia. Local as well as multi-national companies, sometimes backed by government economic and food security schemes, are investing in Indonesia, Malaysia, Singapore and others to build capacity and product development capabilities. It has created a significant market for dairy ingredients—often high-value items made to tight specifications. USDEC President and CEO Tom Vilsack says the FIRC agreement is one of what will be several long-term investments in "people, promotions and partnerships" demonstrating the U.S. dairy industry's commitment to the region. A partnership agreement between USDEC and the Food Innovation and Resource Center (FIRC) at Singapore Polytechnic is celebrated, left to right, by Zen Tan, FIRC business development manager; Martin Teo, USDEC technical director, food applications; Loong Mann Na, FIRC center director; Vikki Nicholson-West, USDEC business unit director, Southeast Asia; and Dali Ghazalay, USDEC regional director, Southeast Asia. All efforts in Southeast Asia will demonstrate how the U.S. lineup of sustainably-produced dairy protein, milk powder, specialty ingredients and cheese fits the taste preferences and nutritional requirements of the region. Activities fall into two primary baskets: health and wellness, and culinary. They range from a recent USDEC permeate workshop at the FIRC facilities to USDEC being the official dairy partner for this year’s World Gourmet Summit, hosting U.S. cheese receptions, showcases and chef events. These activities allow USDEC members to interact face-to-face with regional buyers and consumers. Personal relationships with U.S. exporters will give Southeast Asia greater confidence in our products as the region's population, economy and need for more food continues to grow.